M&M's milk chocolate – the candy that "melts in your mouth, not in your hand" - turns every mouth into a smile. 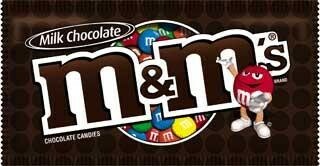 M&M's are fabulous chocolate treats with colorful candy coatings that make delightful addition to any occasion. A true classic, M&M's milk chocolate candies offer the original chocolate favor cherished by people all across the globe. Enjoy M&M's milk chocolate candies in their traditional, bright and decorative colors (red, yellow, green, blue, orange and brown) any time the craving for rich milk chocolate strikes. For a quick chocolate fix, turn to M&M's - the milk chocolate candy with an "m" in every bite. Sweet City Candy offers M&M's milk chocolate candies at low wholesale prices. Order your 36-count package today and add it to the inventory of your retail or candy store. Sweet City Candy is your wholesale candy headquarters. 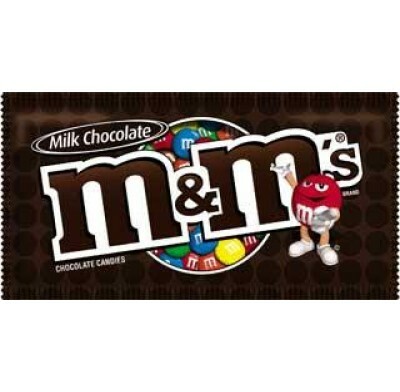 Enjoy M&M's milk chocolate delivered fast, right to your door at low wholesale prices.